The Malta International Boating & Yachting Awards 2017 recognise the efforts and successes of Maltese and international yacht builders, companies focusing on the challenging mainland Europe market as well as tapping into North Africa's yachting market. 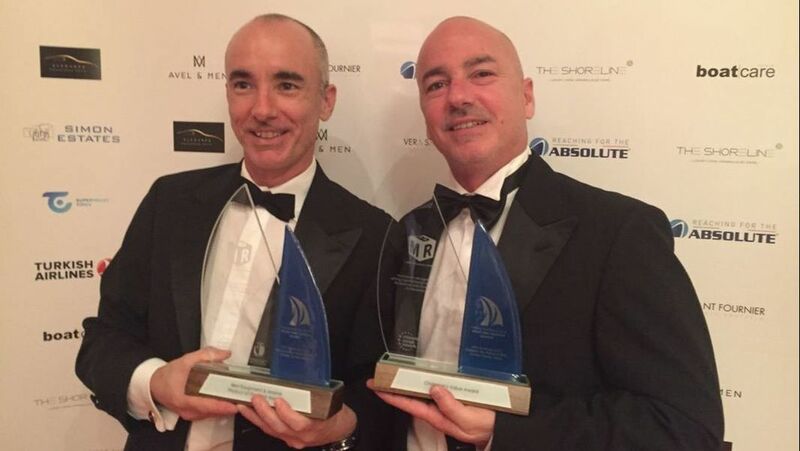 These awards honour the best of the best in Maltese and international yachting for quality products and services. Medcomms Limited were awarded the Best Equipment & Marine Product of the Year Award and the prestigious Chairman's Value Award. Held in beautiful Stara Zagora in Bulgaria, this was the 3rd World Deaf Athletics Championships; a memorable event which has now established itself in the calendar of Deaf athletes. 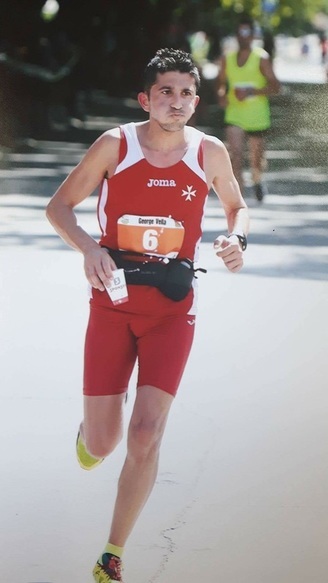 I represented Malta in the full marathon consisting of the usual 42.2km distance. Not so usual, were definitely the conditions in which we participated in. We were eighteen deaf athletes in all together with several others non-deaf athletes. An eventful marathon, definitely one I shall never forget! The route consisted of 4 loops, of 10.5km each. The terrain was rather a flat one with 16 uphills over flyovers. Due to unforeseen circumstances the race started at 9am instead of 8am as it was planned earlier, hindering our plans and making us run in hotter conditions. At this stage I did not expect to run at the predicted race time but I had to re-adjust my race strategy for different conditions. 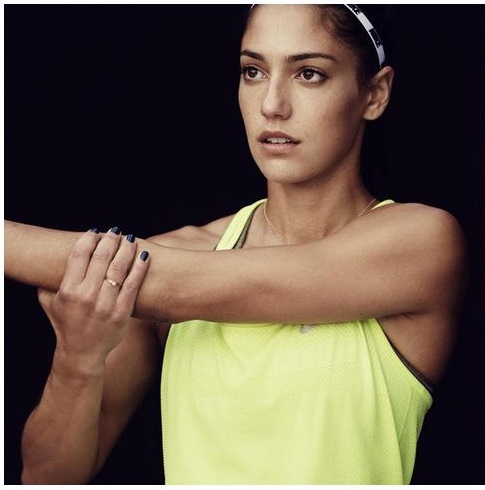 In view of the strenuous conditions I had to run in, including the extreme hot weather and an unfamiliar tarmac surface, I started off with a cautious, comfortable pace as strongly recommended by my coach. Given these harsh conditions, I knew I had to give up my usual race pace but had to take no risk and follow my pace as according to the heart rate monitor. I followed the heart beat and remained with a constant race pace up to the 22nd kilometer, pacing and drafting other similar and hearing runners who applied for 10km, half marathon and marathon. By this time, I was ranking between 6th to 9th place in the Deaf category. By the 22nd and the 23rd kilometers, I experienced a strange feeling of extreme tiredness in my legs requiring me to increase my efforts. By this time, my heart rate rose up to a worrying 10-15 beats per minute which made me think about the risks of a heat stroke. I knew that if my body loses its ability to regulate temperature when exposed to such hot conditions, I had to watch out for any warning signs such as dizziness and disorientation but at this stage this was not my case. back. Then I conquered the last 2 hills and ran towards the finish line with difficulty. After the finish I required a good 20 minutes of recovery and to literally gain back my senses. 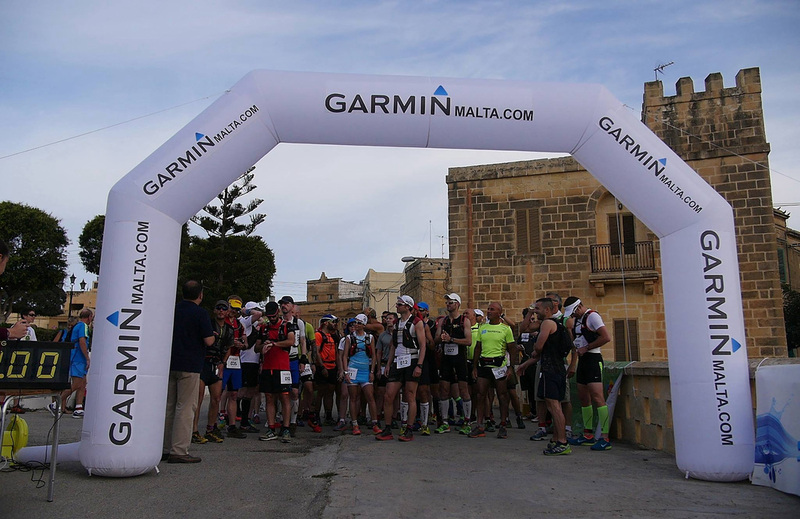 My time was slow with 3hr 23 minutes, compared to that of downhill marathon of Malta in cooler and more favourable conditions. I remained conscious of the signs of heat risks even though this required that I settle for a fair 7th place. Nonetheless, proudly this was my best position ever in a worldwide race organized by ICDS (Deaflympics) apart from last year’s 2nd place in European Deaf Marathon Championships. In fact the first three runners of this last year European Marathon including myself, ended up with the same problems and finished from 6th to 8th place respectively. The marathon was an arduous exhausting challenge; a constant battle between the mind and the body but so proud to have represented Malta and ranked 7th place! This is not the end for my athletic career. I am already planning my next challenge with my coach , this time in Turkey Deaflymics marathon to be held in 2017. 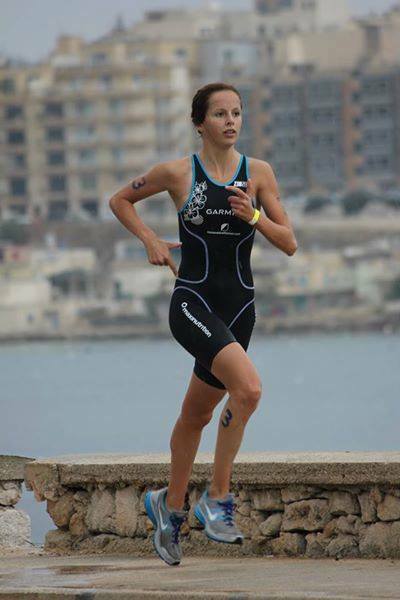 ​Having qualified for the Ironman 70.3 World Championships last year, being held in Australia this September, 2016 has been a busy year so far for Garmin Sponsored Athlete Hannah Pace. 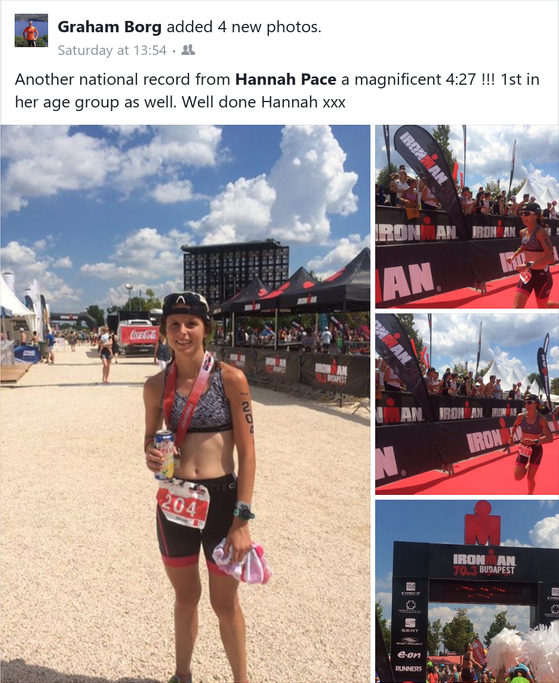 Having transitioned towards training for longer distances over the winter months as well as having had a solid cycling season where she formed part of the National team representing her country in Israel, Pace’s hard work paid off on Sunday 15th May. 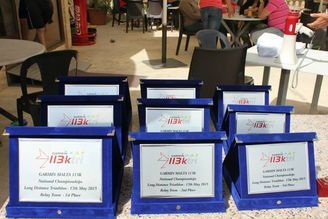 The Race, which consisted of a 1.9km swim, a 90km cycle and a 21km route was held in Bahar ic-Caghaq. Pace took the lead immediately from the swim section and continued to extend the gap in both the bike and run sections of the race. Despite it being her toughest race so far of this distance, she was thrilled to claim the national title. The cherry on the cake was being awarded a 3-day training camp on full board basis at Sancture Sportifs http://www.sancture-sportifs.com. Pace is no stranger to the training camp based in the South of France and is looking forward to her next stay with the Laidlows. 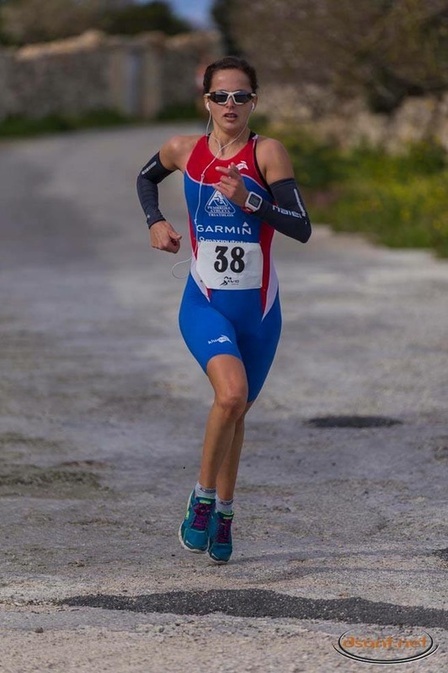 Hannah’s season is in full bloom now having recently claimed double silver in both the Sprint and Standard Distance at the European Age Group Championships held in Lisbon. Ironman 70.3 Budapest is next up on the list where she plans to use this race as a good stepping-stone for the Ironman 70.3 Championships taking place a month after. Twenty-eight cyclists together with three backup volunteers left for Zagreb, Croatia for a 1100km cycling challenge spread over 7 days. Climbing approximately 12,000m in ascent, the ALIVE Cycling Team will start their adventure from Zagreb, Croatia on Friday 8th July and would cycle all the way to the Vatican City in Rome, Italy, passing through eight different cities, such as Ljulbjana (Slovenia), Mofalcone (Italy) and Montefiascone (Italy), just to mention a few. 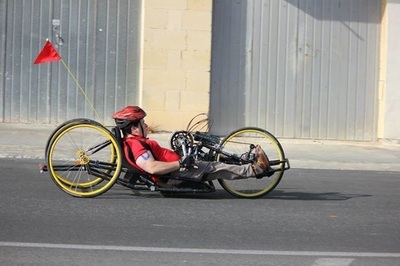 For the fourth year, ALIVE cyclists are raising funds for a specialised research programme in children’s cancer at the University of Malta to be facilitated through the University’s Research Trust (RIDT). 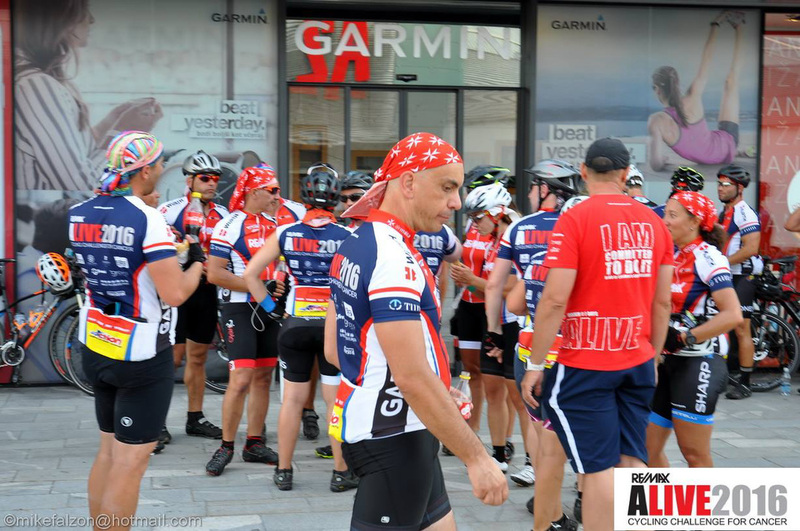 The RE/MAX – ALIVE2016 Cycling Challenge for Cancer is being sponsored by RE/MAX and Friends Foundation, Powered by Garmin, Wurth, Tum Invest, Pro Action and supported by Impressions Ltd, Express Trailers, SIS, Wheelwizard, Danusan, Air Malta, the Malta Police Force, Atlas Insurance, Falzon Group, Dolmen Hotel, UVIA, Firetech, Greens Supermarket, Express Trailers, Valletta Cruise Port, KPMG and Finestral. 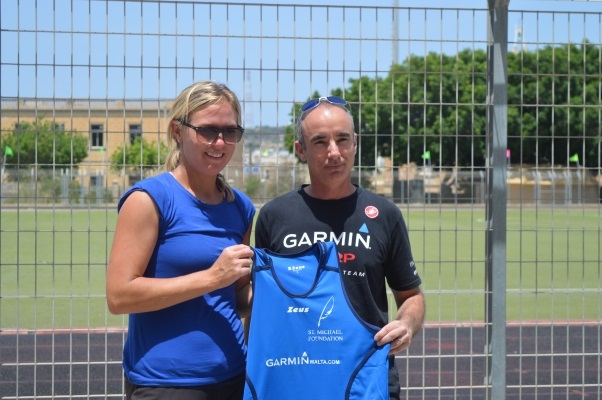 Medcomms Ltd and Garmin Malta proudly sponsors St. Michael’s Foundation athletics kit. Ms Gemma Edwards-Borg was presented with the kits during the schools recent Interschool’s track and field day at St. Aloysius Collage. The students proudly wore the kits for the first time on the day and all looked amazing. Mark Gaglione, was on hand to present the kits. 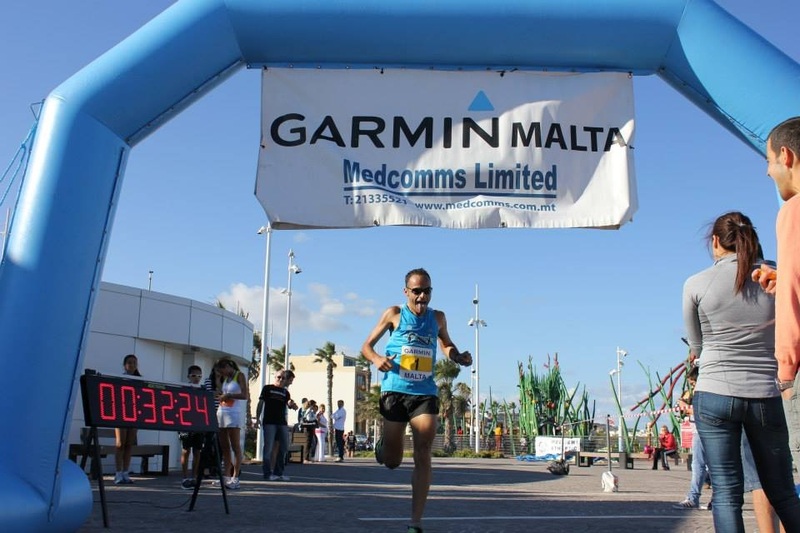 Medcomms & Garmin Malta wish St Michael’s Foundation all the very best of luck. Garmin Malta sponsors ‘The Malta 113km Half-Distance Triathlon Championships’ for the second year running. 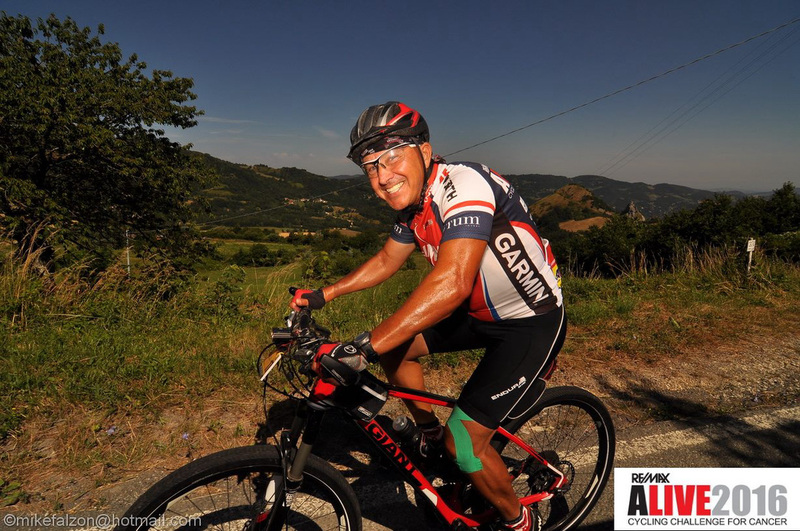 This annual event for tri-athletes fully tests the athletes stamina over 113km distance. Starting at 8am, the athletes went for a 1.9km swim, followed by a 90km cycle, finishing off with a 21km run. This year we saw a large growth in registrations for this edition. 52 took on the full distance and 24 relay teams battled it out between themselves. We also had athletes coming from overseas to take part. Giving the event an international feel to it. The overall winner was Jaroslav Kovacic from Slovenia, followed by the young Italian Emiliano Cucci. Then came the 3rd finisher overall and National Champion, our very own Garmin Sponsored athlete Fabio Spiteri, clocking a total time of 4hr 28mins 36secs. In the ladies category, placing first and National Champion for 2015 was Margaret Seguna followed by Michelle Vella Wood in 2nd and finishing 3rd was Donatelle Camilleri. The winners of the relay team were Team H registering the best time of 4hr 20mins 04secs. 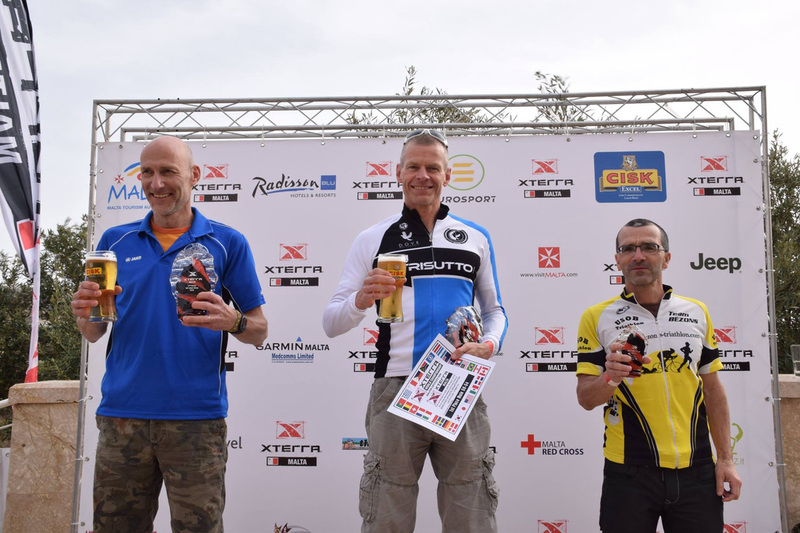 Swimmer Neil Markham covered the distance in 28mins 14secs, then Wayne Spiteri whose efforts clocked overall best cycled for in 2hr 17mins 35secs. And for the half marathon of 21km run, Joe Pace showed us what he’s still made of with a great time of 1hr 34mins 15secs. 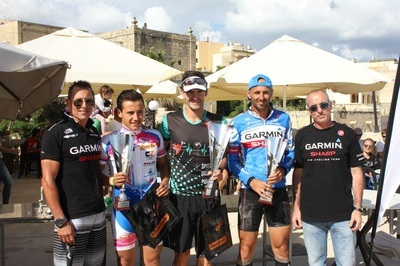 As main sponsors of this event again, Garmin Malta will once again look at keeping the momentum going into 2016 and look at opportunities on how to continue improving this flagship race, making it bigger and better for our local and overseas athletes. This partnership is the latest from Garmin’s expanding fitness segment, which focuses on developing technologies and innovations to enhance users’ lives and promotes healthy and active lifestyles. 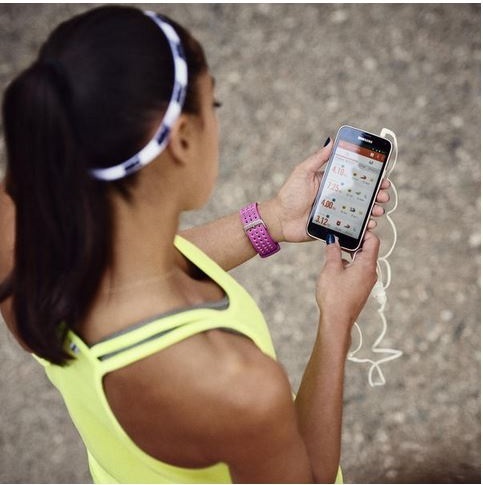 Whether it’s running, cycling, or other athletic pursuits, Garmin fitness devices are essential tools for athletes both amateur and elite. She was delighted "I cannot believe I am so lucky, thankyou all" she enthused. 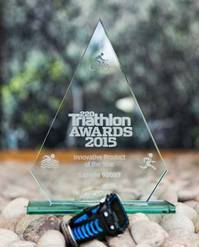 Garmin is delighted to announce that the Forerunner 920 XT won the most ‘Innovative Product of the Year’ award at the 220 Triathlon awards on Saturday night. 220 Triathlon is the leading UK magazine for the triathlon market and this is a great accolade. The award was presented in front of leading industry influencers as well as top athletes including the Brownlee brothers. 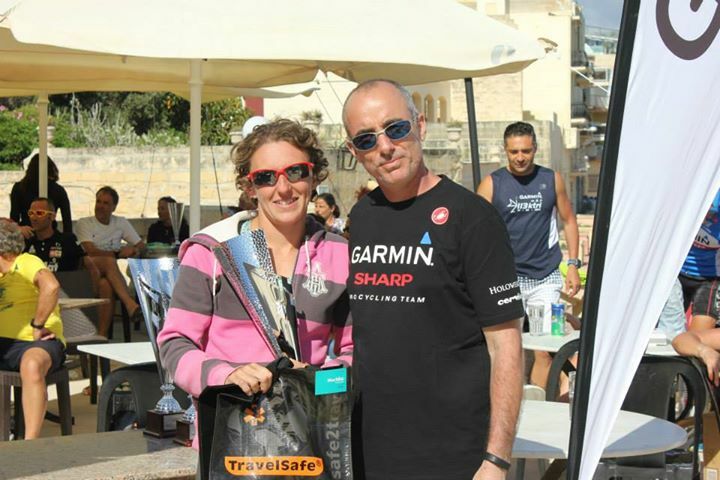 Hannah Pace and Keith Galea placed first in the Savio AC Dingli 10k held on 8 February 2015. 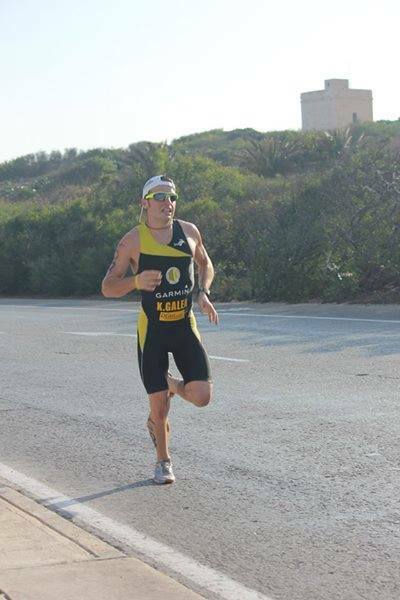 Another of our sponsored athletes, Josann Attard Pulis placed second. Well done to our Garmin sponsored athletes! The winner of the first Subscribers Competition was announced on 8 December 2014. 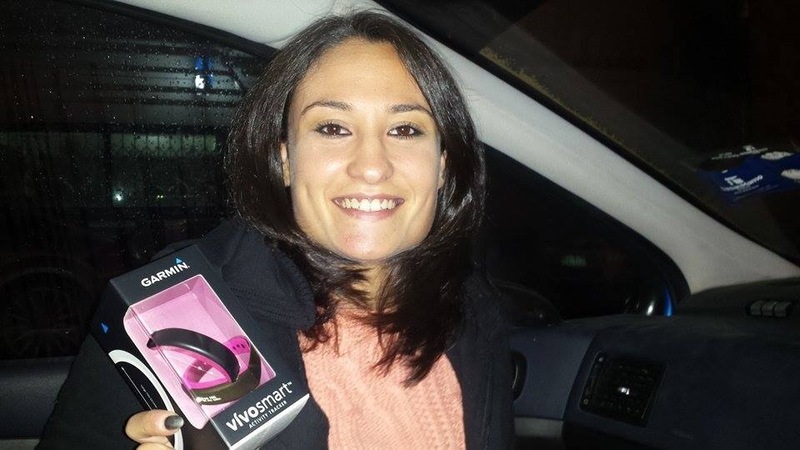 Tara Vella was presented with the new Garmin Vivosmart, the fitness band that tracks your activity level, assigns goals and marks milestones, helping you move towards a healthier lifestyle. 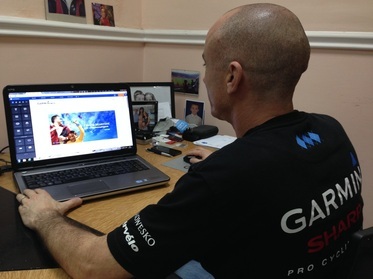 The competition was exclusive for the members of Gaminmalta.com. Subscribe now and keep your eyes open for a chance to win Garmin products. 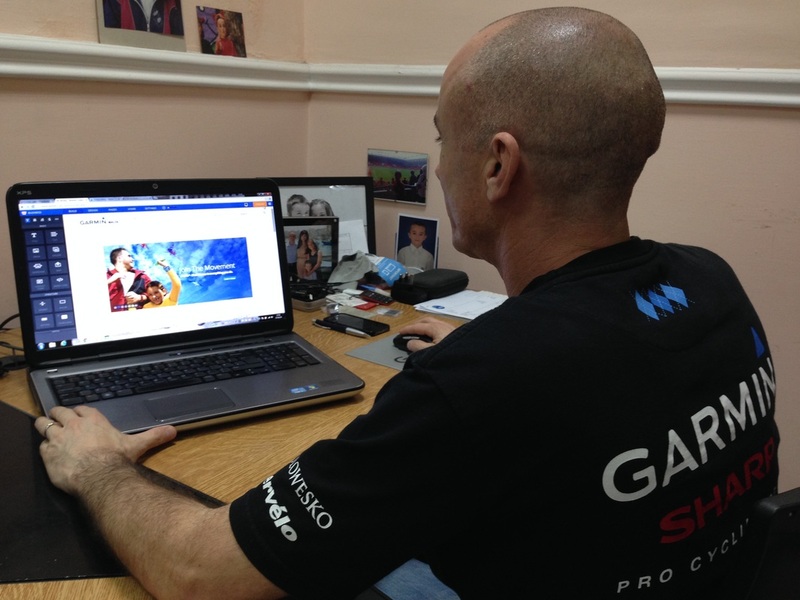 Mr Mark Gaglione, Director of Medcomms Limited, launched the new Garmin Malta website on the 17 November 2014. 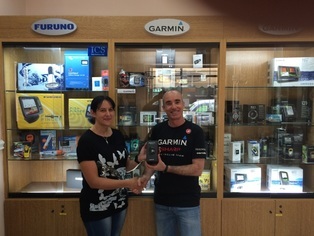 Garminmalta.com includes a secure e-shop and features information about new products, sponsorships and a support page, guaranteeing the same service provided from their shop in Gzira. We hope you enjoy exploring the new site! 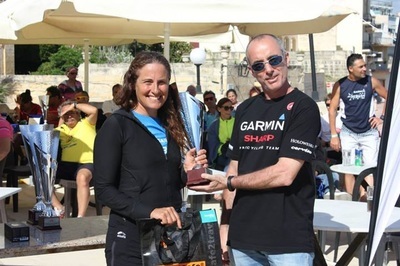 For another October Sunday morning, Mellieħa A.C. in collaboration with Garmin (Medcomms Ltd.) organised once again the Garmin Qawra Races on the roads between Qawra and Bugibba, with the finish at the Malta National Aquarium Square. They were races that reflected our club’s mission of inclusivity in sport, as for the first time we introduced the 5km race alongside the traditional 10km distance, while also giving the option to anyone new to the sport to walk the 5km route. A 1km fun run for kids concluded the day, with a good number of our club’s nursery section attending this run. It was heart-warming seeing over 200 adults running either distances, which was the highest number yet for these races organised at Qawra by our club. 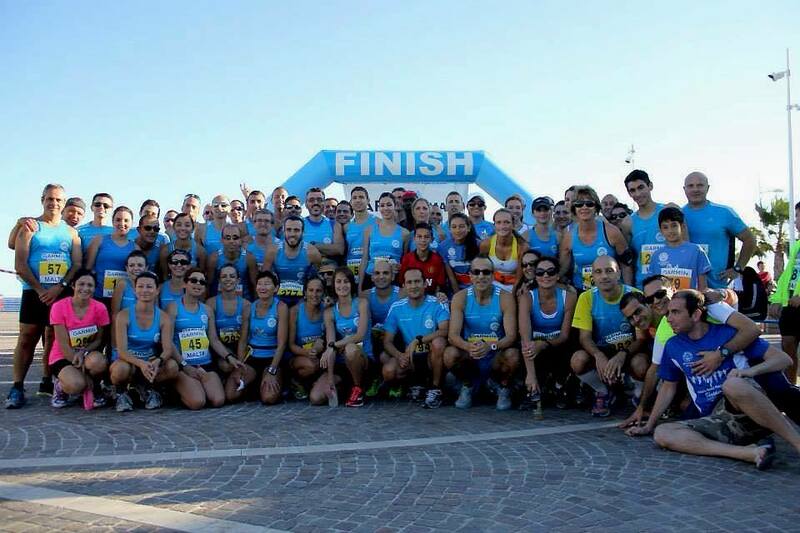 While a good number of Mellieħa A.C. athletes were on the side-lines ensuring that everything goes as smooth as possible, over 50 runners were wearing our sky blue kits colouring the roads. Our own Andrew Grech dominated in his own flying way, virtually making the road his own personal track, registering a personal best in the process while stopping the clock at 32:28, an amazing 53 seconds better off than his win last year. St Patricks AC’s Jonathan Balzan and Pembroke Athleta’s Brian Magri followed in 33:32 and 34:19. 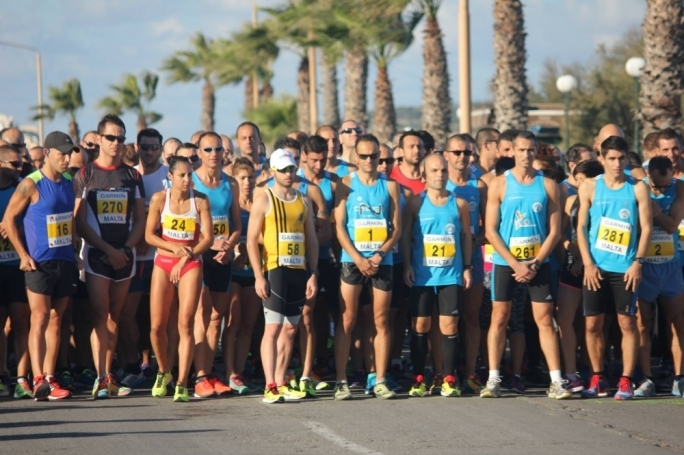 The first 3 females on the 10k race were Lisa Bezzina (Pembroke Athleta) who has also registered a personal best at 38:50, followed by Tara Abdilla (La Salle AC) and Angele Sammut (Mellieħa A.C.). At the 5km race, it was Pembroke Athleta’s Mark Herrera that stopped the clock first, running without any obstructions before him, with a timing of 16:11. Ibrahim Kone and Wayne Cassar followed. 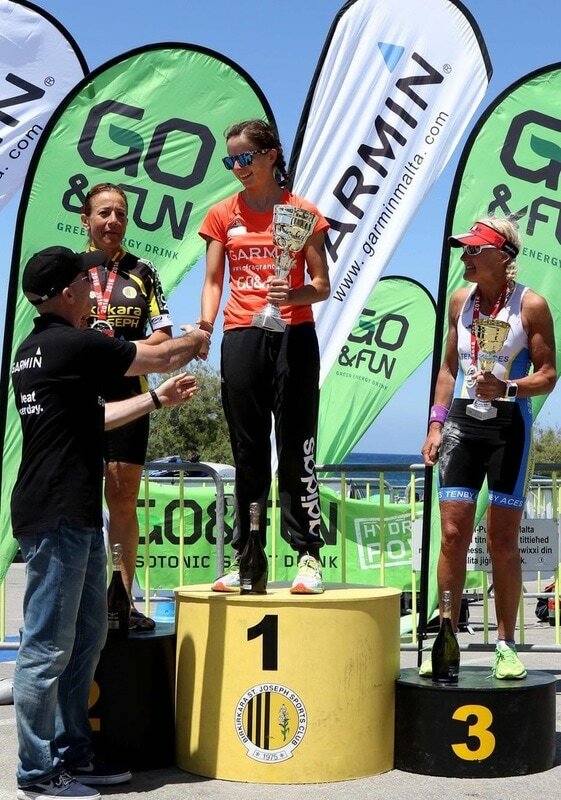 Sandra Schembri (B’Kara St Joseph), Tiziana Zammit (AS Libertas) and Jana Ogrodowski completed the female podium. 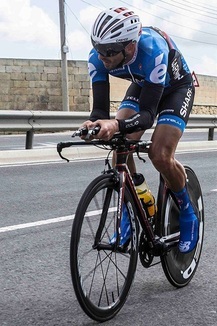 The first race in the inaugural Garmin BBB Birkirkara St. Joseph Individual Time Trial Series 2014 will be held on Sunday, 6th July 2014 on the Zebbug by-pass starting at 8:00 a.m. 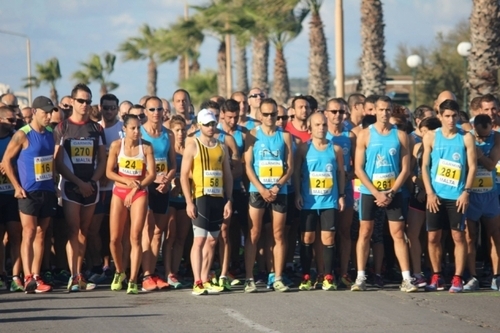 This series will consist of three races of 20 kilometres, with the other two races being held on Sunday, 3rd August and Sunday, 7th September. 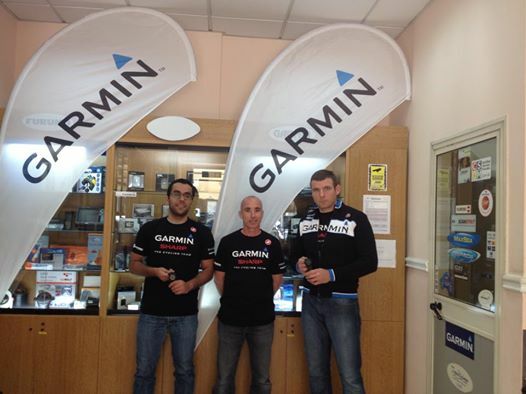 The main sponsors are Garmin and BBB/Buff. Other sponsors include Go&Fun and Starbene. The series carries a prize fund worth over €1,000. The top three male and female finishers in the overall classification will share €700 worth of BBB/Buff products, while the male and female cyclists with the fastest race times will share €50 worth of Starbene products. 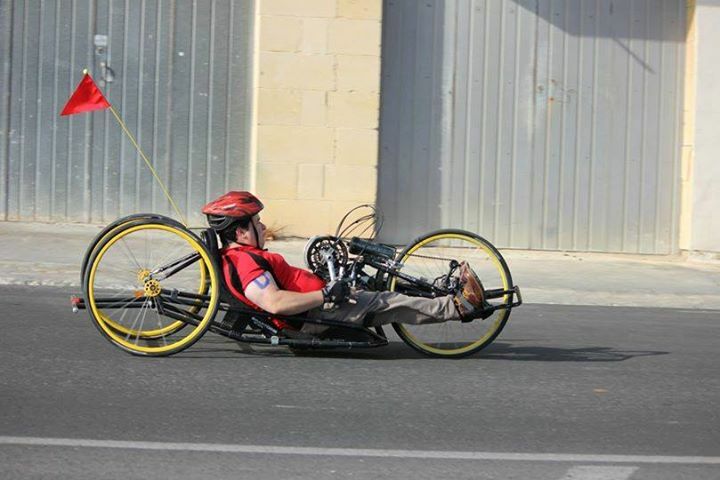 The first Birkirkara St. Joseph male and female cyclists in the general classification will receive €150 each. The series will include 13 age-groups and a category for para-cyclists. The male and female winners of each age-groups over 17 years (excluding the top three placed in the overall classification), will be presented with a trophy. Trophies will also be presented to the winners of the categories between the ages of 12 and 16 years. Cyclists under 11 years and para-cyclists will all receive a series memento. ALIVE Charity Foundation is a non-profit, non-governmental organisation funded by volunteer donations and contributions and pursuing charitable activities for the support of other charitable institutions, organisations and individual causes. 45 cyclists have committed to cycle 1000km in 7 days. The event will start on the 9 July from Prague and will take the participants through Vienna, Bratislava, Budapest and end in Belgrade. 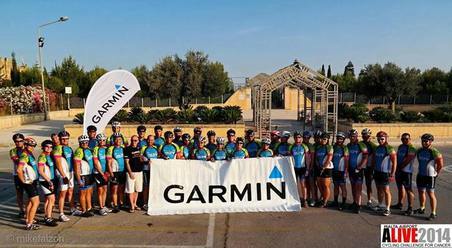 Garmin Malta is proud to support Alive Charity Foundation and wish them success in their fundraising event. 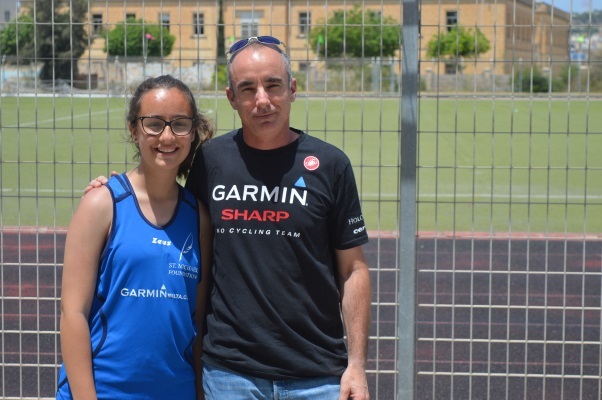 The Malta 113km Long Distance Triathlon Championships, this year for the first time sponsored by Garmin, has become a staple fixture on the triathlon calendar. Covering a total distance of 113km, split into a 1.9 kilometre swim, a 90 kilometre cycle and a half marathon, i.e. a 21km run, this event is in its eight year, and is considered to be a great training ground for endurance athletes, irrespective of their levels and their goals. The popularity of the event has resulted in a substantial amount of foreign triathletes signing up for the race, giving it more of an international feel to all those taking part. Whilst the main focus of the race will be the individual athletes undertaking the full distance the organising team will be encouraging relay teams (swimmer/cyclist/runner) to be formed. Past relay participation has seen quite a number of relay team athletes undertake a full distance in subsequent races so this is an excellent opportunity to introduce them to long distances. 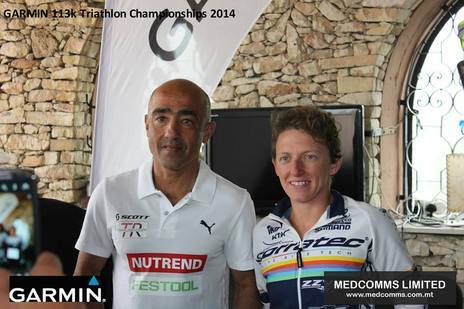 “We are very pleased to have worked closely with the Malta Triathlon Federation to upgrade the status of this race. 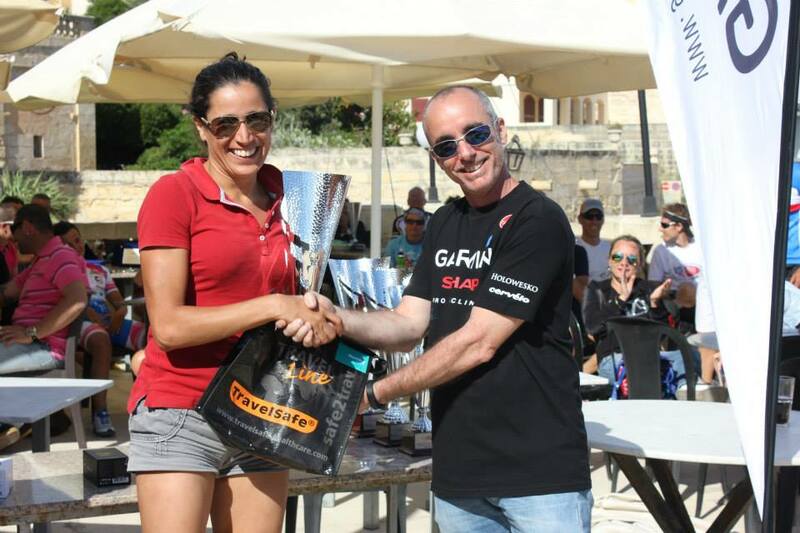 Endurance racing has seen a sharp increase in popularity in Malta, with over 25% of triathletes competing in some type of endurance event throughout the year. This race is a perfect opportunity for triathletes to test their skills, either in preparation for races such as Ironman, or even just as a taster to see their aptitude for endurance racing, hence the possibility to join in relay teams” explained Charlie Demanuele, endurance athlete and race organiser. 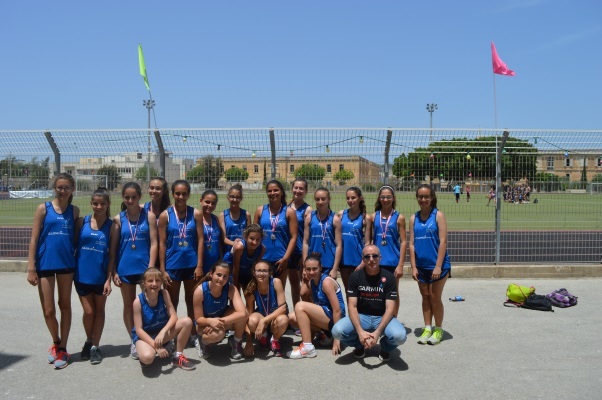 “The Malta Triathlon Federation welcomes such initiatives as they are the medium to develop the various angles of multisport on the island” said Cyprian Dalli, President of the Malta Triathlon Federation. 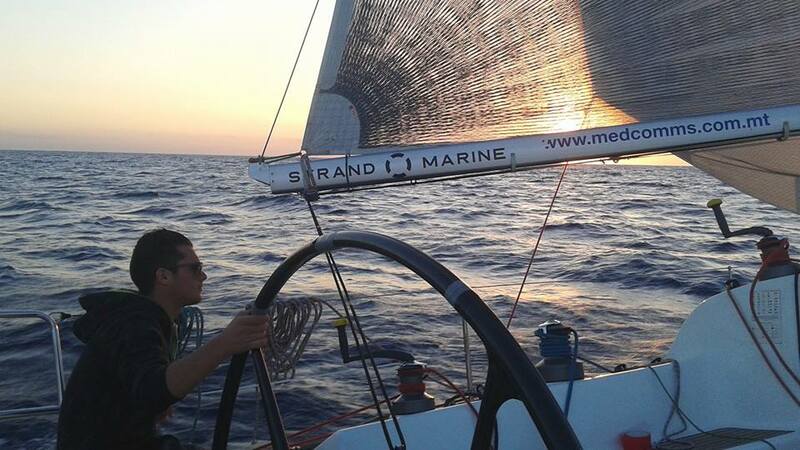 “We have been working closely with the organisers to ensure that all the necessary conditions are met. We are confident that with the experience and enthusiasm the race organisers have this race will be a success”. Douglas Barbaro Sant, Matthew Xerri, Raphael Fenech Adami and Gregory Attard will attempt to climb Mt. Everest in April/May 2014 in aid of charity. This will be the first Maltese expedition on the North Side. 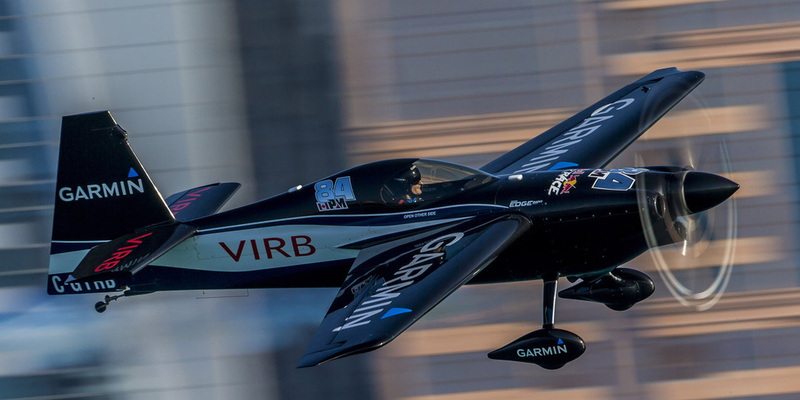 Garmin Europe is proud to support the team with the brand new Garmin Fenix 2. Please visit their website http://www.everest14.com/ for more information. UPDATE: Everest 14 has reached its goal! The Maltese flag has again reached the summit of Everest. The team faced unfavourable weather conditions during the summit bid. Reaching the summit was a struggle but the team faced an even bigger hurdle to get back down alive. Four days and nights in the death zone tested the team's endurance, determination and resilience to the limit.